Welcome to the SPS Parents' Guild! As parents of St. Paul’s students, we are all members of the SPS Parents' Guild. Each year, the Parents' Guild is responsible for raising funds to support the education of our students while, at the same time promoting fun and fellowship among our school community: families, students, administration and faculty. We coordinate volunteer support and provide financial assistance to the school through our many fundraising events. Our activities are administered by a Parents' Guild Executive Committee, which holds regular meetings open to all parents. 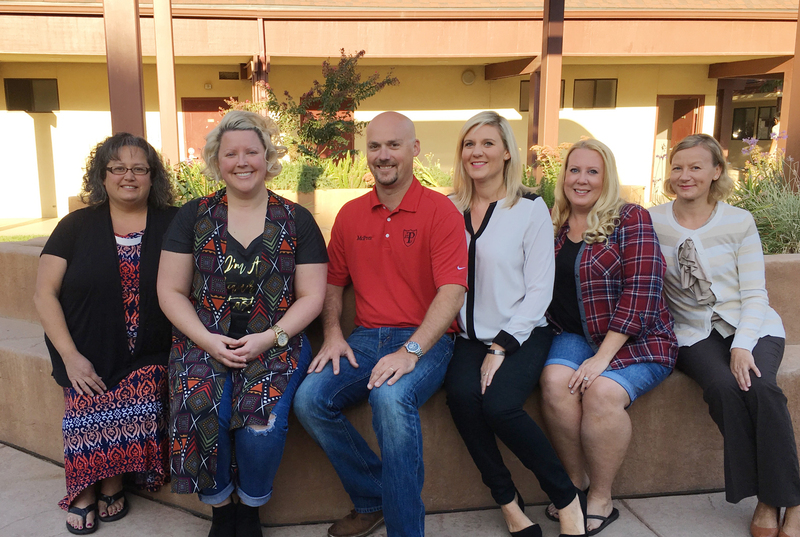 The executive officers of the Parents' Guild Committee are elected in the spring of each year. The Parents' Guild's largest fundraising activities include: Hot Lunch, the Golf Tournament, Walk-a-Thon, and Spring Auction. Click here for a comprehensive list of this year's activities. In addition, the Parents' Guild provides support to Room Parents and administers the Activity Fee funds. Click here to print out a reimbursement request form. CLICK THE BUTTON BELOW TO LEARN ABOUT VOLUNTEER OPPORTUNITIES. A parent group committed to raising funds for the school and enriching the school community. Hold fundraising and fun-raising events for the school. Tuition alone does NOT cover the cost of a student’s education. Money raised by the Parents’ Guild helps the school meet it’s operating budget and keeps tuition cost down. During the 2015-2016 school year, Parents’ Guild raised approximately $165,000 for the school. $85,000 was committed to the operating budget and the remainder is being utilized to purchase needed supplies and materials. In the 15/16 school year $65,000 went towards the school’s operating budget, $35,000 funded iPads for the middle school classes, $10,000 built our school garden, and $23,000 in funds went to the new school math curriculum, and other needed instructional supplies and equipment. In the 16/17 school year $85,000 went towards the school’s operating budget. Approximately $52,000 will fund in-class technology, including tablets, iPads, and chromebooks (soon to be completed). The remaining funds have been used to purchase storage units for track equipment, track uniforms, an instructional drum set and drum shield, lapel microphones to use in the chapel, 2 cases of paper for all classrooms and other needed instructional materials and supplies. Attend a monthly meeting or if you can’t do that, read the minutes online to learn about how you can help. You can now volunteer through our online volunteer management tool, Sign up. The link is located on the Parents' Guild web page. Where do you find out about Parents' Guild Work? We have a webpage! Visit the school website and navigate to Get Involved/Parents’ Guild to learn more about the Guild, view the meeting schedule, read meeting minutes and sign-up to volunteer. Do they need my help? YES! We need the help of all of our parents. Imagine the amazing work that could be done if we had 100% involvement! What if I work and don't have time to help? Many of our involved parents work. We have several volunteer opportunities for small amounts of time after work hours throughout the year. Who can I contact to get connected? Ryan McGuire, this year’s president, can be contacted by e-mail at ryanmcmoo@comcast.net or find Ryan McPrez on Facebook! Parents' Guild meetings are almost always held on the first Friday of each month at 8:15 am in the art room. We welcome your ideas, suggestions and company! For more information about Parents' Guild events, please email Ryan McGuire @ ryanmcmoo@comcast.net. Your questions, thoughts and ideas are always welcome and encouraged. For specific information about Hot Lunch, please use our hot lunch email address link and email Hot Lunch Volunteers.